If a tooth looks abnormal when looking at the crown, periodontal probing and dental X-rays are needed to diagnose potential problems. 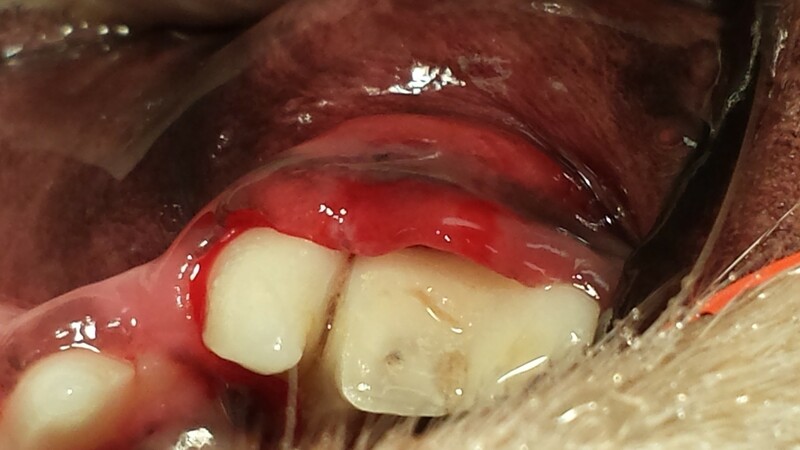 Periodontal probing demonstrates a deep periodontal defect. Dental X-Rays demonstrate bone lysis (infection) and five, rather than the normal three roots. 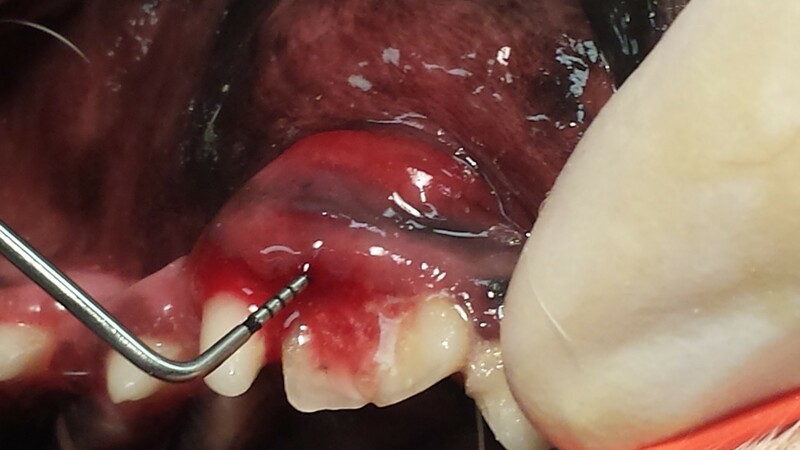 The above views comfirm all five roots of the gemination 208 tooth were removed. The large left root is the mesio buccal with an accessory root shown on the right. The two roots in the middle of the photo are the accessory palatal root, and the larger palatal root. The largest root is the distal root on the right. 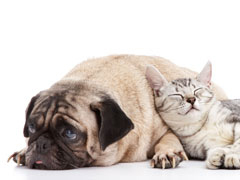 Gemination teeth can occur in the deciduous, or the permanent dentition of cats and dogs. We see gemination teeth most commonly of the incisor (one root) teeth, but as this case presentation shows, it can occur in the premolar teeth as well. 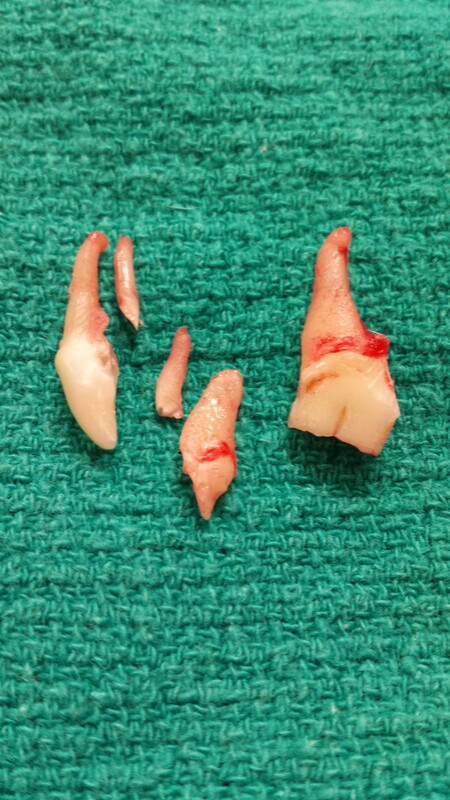 We have also seen gemination of the canine tooth. The gemination of a single root incisor or canine have incompletely separated crowns with a single root.